You must make reservations at least 5 minutes in advance of the time at Yasu - Sushi Bar. Please note we are cash free and accept debit and credit card. 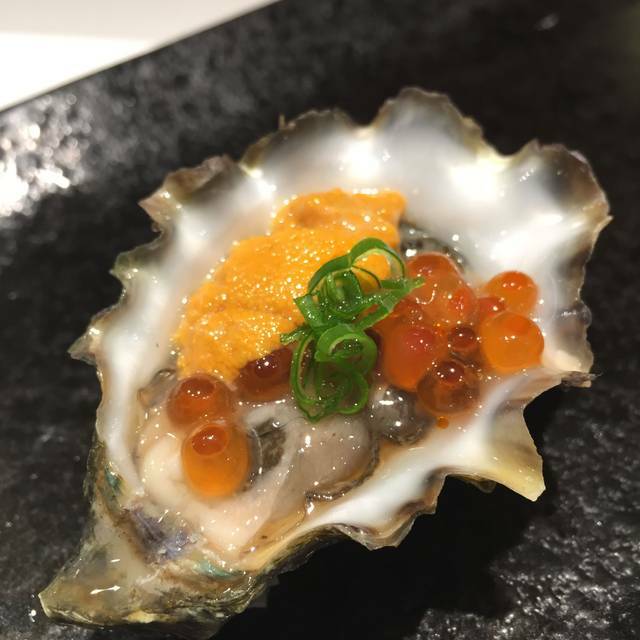 Was really looking forward to Omakase at Yasu and wasn't disappointed! The textures were incredible. Highly recommended. Overall, a great sushi experience. Sushi was great, featuring a good variety of local/global fish. Decour was nice, if spartan. Restaurant is extremely small, which makes graceful service almost impossible. My wife and I were constantly bumped by the service staff as they (unsuccessfully) attempted to maneuver around us. The staff behind the counter were more professional, but the sushi presentations sounded a touch hollow and uninspired. The sushi itself, with the sake pairing, was quite good with nice variety. Based on my only previous omaska/saki pairing experience, I would say the sushi was great value, and the sake pairing option was average value. My only previous omasake experience was at Shoshin, so it is natural for me to compare the two. Shoshin has a much nicer, roomier dining area, with some very nice high end decour choices. The service was also far better/more professional. Shoshin was way more expensive for the same meal “type” (with sake pairing and few extra sushi pieces at the end). 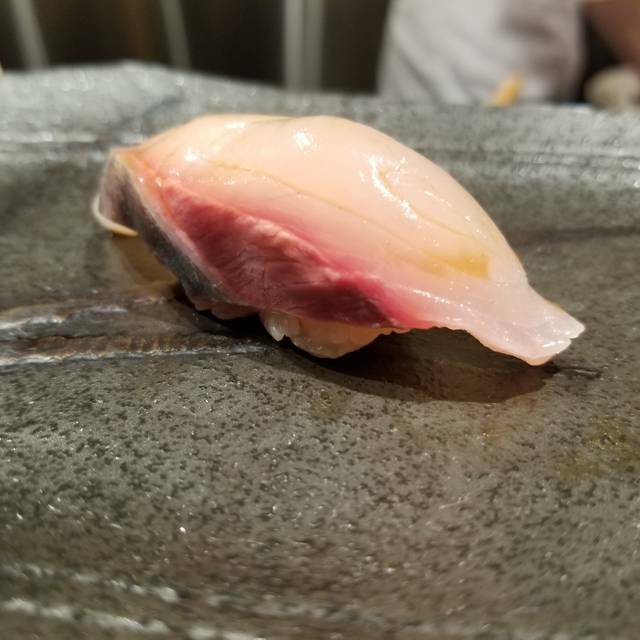 While I would honestly have to say the sushi experience at Shoshin was better overall (freshness,presentation,expense of ingredients, etc), it was only about 10-20% better (depending on ones particular sushi preferences) as compared to Yasu. However, the cost for 2 people was appx half the expense at Yasu as compared to Shoshin. Bottom line, if you want only the very best for a special occasion and are willing to pay for it...Shoshin is the place. If you want a very nice omasake place (which is by no means inexpensive) but with a less grandeous setting and not so graceful service, Yasu is the place. Excellent service and food was outstanding and love the sake pairing. Very cozy restaurant. Staffs are friendly and professional. For $135, I think it is a great value. I won’t say it is an exceptional sushi experience, but I definitely recommend it. It’s a nice weekend dinner spot. Will definitely visit again. Excellent experience and food as usual. Love that they tell us where the fish comes from and provide more explanations for the more unusual offerings. The perfect amount of food at the perfect pace. Intimate environment perfect for savouring. I booked this place for my bday dinner and also as a date night with my husband. All the food was over the top and super fantastic! Me and my husband was very impressed with the chefs choices. It’s very clean, the people there are friendly, it was a perfect meal! The only down side was so hard to find parking, other than that everything was perfect. Easily one of the best meals I've ever had - highly recommend. Foods were outstanding and also it was the best sushi experience I have ever had. Waitresses were very friendly, helpful and created warm atmosphere. The price was expensive but it was worth every penny. I would definitely go back! The food was very fresh and it could be an awesome dinner, but the server is really really busy. My husband did not have the napkin though we politely asked the server for twice. It was a birthday dinner, though I mentioned on the reservation website. All we expected is the little candle on the dessert like the one who also having the birthday dinner beside us, but our server forgot. Hope the restaurant can improve the service a bit. Food was great, service was great. Chef Yasu was very friendly and personable. Great experience overall. Would definitely recommend. The food was exquisite! 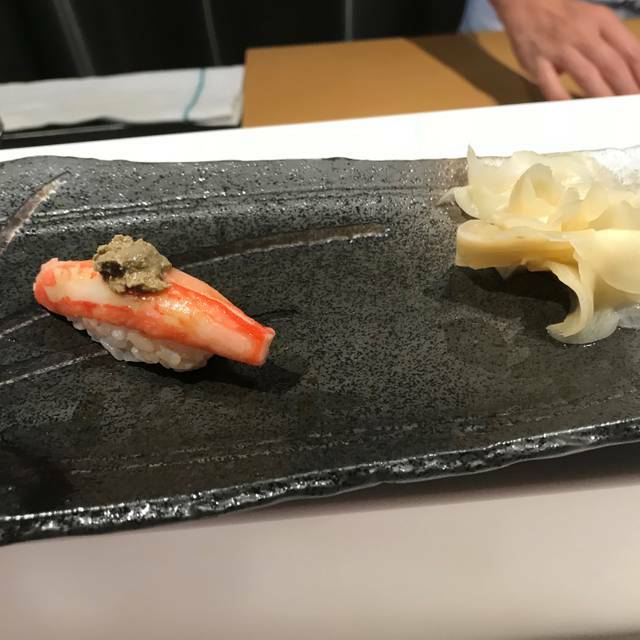 I missed my omakase opportunity when I was traveling in Japan and this dinner simply bring me what have always been expecting for omakase Japanese sushi dinner. The taste, texture, temperature of the ingredients were simply the best of town. Meh... food was okay. But a little too pretentious for my blood. Nothing really jumped out at me. And servers were not very accommodating. The sushi was exceptional! We also enjoyed how they make sushi from the bar seats. However, even I got a confirmation call a week before the reservation to change some details and made a call a day before the reservation to ask a little favour, they did not update my reservation and asked the exact same questions when we arrived there. I asked for a candle for my husband's birthday a day before and no one left a note about it. It was not a big thing but they might need to communicate each other more. I saved a photo and video of my husband for the last course which was a dessert with a candle but it did not happen so we ended up no photo at birthday dinner. It was bit bitter at last. Simply amazing. Small, cozy, and exquisite. Pricey but worth it. AMAZING! Love all the dishes. Will definitely go again. Highly recommend! Food was generally good, but when that price range, I expected better food and more professional and perfection experience. For example, they didn’t even use a proper Japanese sushi knife. Also, we ate a fish organ (Fish testis) without knowing. We asked the chef, but the chef refused to tell before we ate it. I have to google it to find out. I mean, being exotic is cool, but you have to let your customers know and have options. 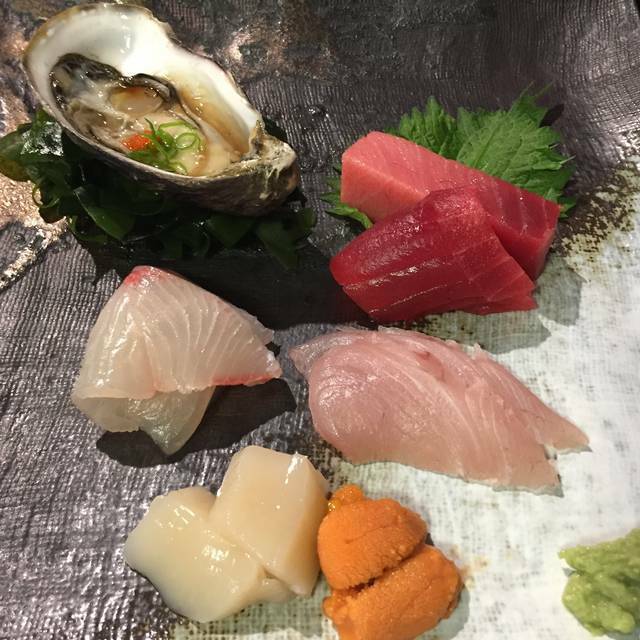 Yasu doesn't just offer exceptional food but an incredible dinning experience. 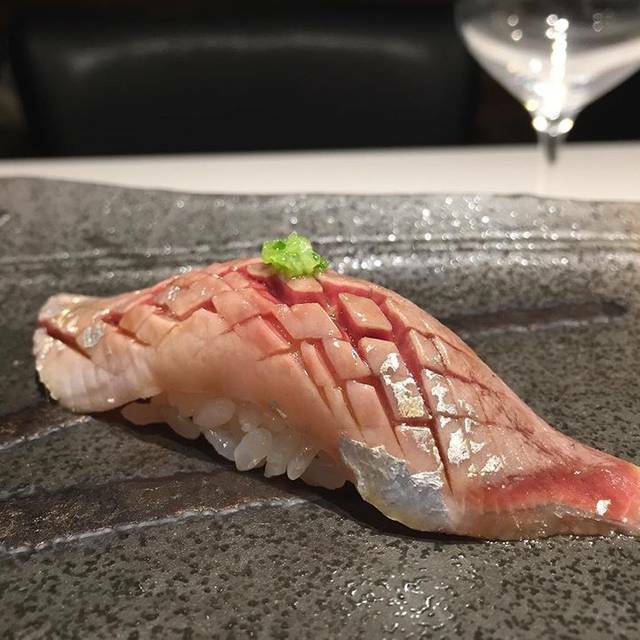 If you enjoy trying new things and are open to new experiences, Yasu is a must. I would definitely recommend sitting at the sushi bar to get the full experience. My girlfriend like Japanese cuisine very much and she pays frequent visit to Japan before. I was nervous if she will like Yasu or not because her experience with Japanese cuisine in Toronto so far has been average. It’s our first time visit to Yasu, we both have enjoyed the food and setting very much. It’s difficult to book on holiday. We will definitely visit again and recommend it to friends. Yasu was an amazing omakase experience. It is every bit as good as the sushi I had in Japan! I'd HIGHLY recommend it. You must sit at the bar and watch the sushi chefs do their magic. Cause they have other round of table after, so, the food came out fast & we were eating kind of hurry. Try to improve the time range then we can more enjoy it. Truly unique and authentic experience. A must. It was a very fancy experience! Worthwhile going to and taking a date you'd like to impress. Make sure you sit at the bar to watch the chef's work and they are very friendly in making sure your food comes out to your preferences. You will need to make a reservation weeks in advance. Food was amazing and fresh, staff was very friendly. It was very nice to be able to see the chefs make our sushi and talk about the ingredients. Food was great, experience was great! I try to get to this sushi bar at least once every time I come to Toronto. This is for sushi purists. No California rolls served here. Only the freshest fish flown in from all over the world. 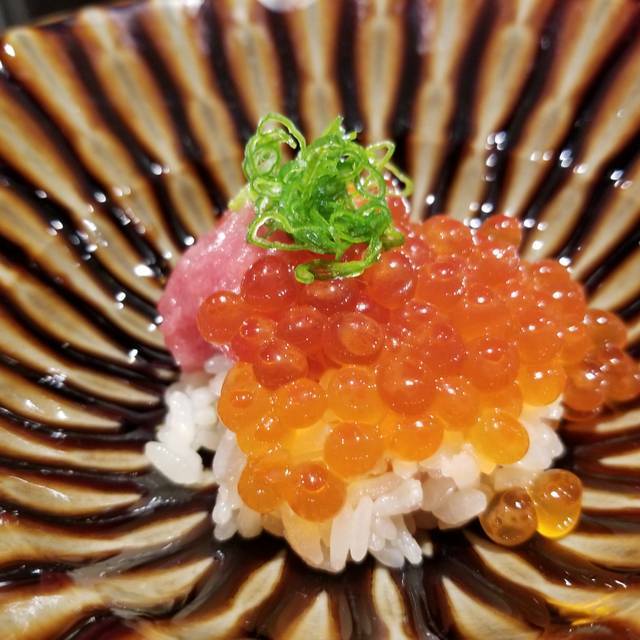 A truly authentic Omakase experience. I highly recommend coming here and get the Sake pairings with your meal. Best sushi in town hands down. Our third visit: each one gets better and better. The most perfect fresh sushi and sashimi imaginable in a wonderful setting in which one can see every slice, if you sit at the sushi bar. Always seasonal, always inventive, I just love Yasu. Service is attentive, understated. Try the sake pairing; it was a new view into the great variety in this drink. 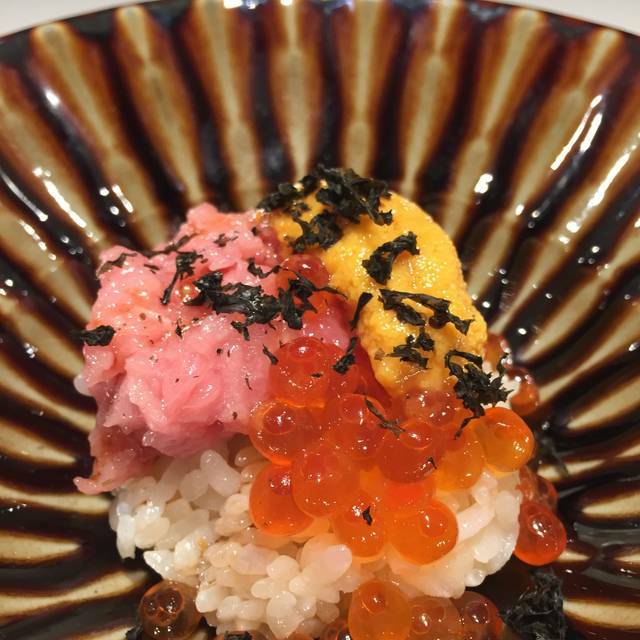 Pictured below is chopped toro sushi (tatami) with inkura (salmon eggs) on top of Yasu's exemplary short grain rice. Eaten with a spoon. I can't wait to go again. Food is amazing and authentic. Pricey, but worth a try! Nice for a special occasion. I have eaten at Yasu at least 6 times. I've brought people here and recommended this place to others as one of the best sushi restaurants in Toronto. It still is, because the sushi scene in Toronto is far from optimal, with the abundance of all-you-can eat chinese-run sushi places. Unfortunately on my last visit I felt the quality of the experience was declining and service was simply poor for a restaurant of this price tag. The fish is still fresher than most places you can find, but I felt the sous-chef needed a little more training and was over handling the fish. The waitresses did not understand English too well. We ordered sake in the beginning. The sake did not arrive, and after the 3rd course we asked if the sake was still coming at which point we realized that one of the ladies who took our order forgot to pass the order to the other lady. We also ordered sparking water. The lady brought out 2 small bottles of Perrier and asked if we would like her to open them. That should not even be a question in a high end restaurant! (A bottle should be opened and poured without asking.) Naturally, when asked, we said that we could open ourselves and then the empty bottles were sitting on the small counter, while the servers were not that busy just standing behind us. When i turned around and passed the bottle to the waitress, she came back with a glass of tap water for some reason, which we did not order. A drop of soy sauce was on the white counter-top in front of me for a while and they did not notice to wipe it out. I know those are minor things, but when you leave $400+ for a meal, you expect it to be perfect, so this is more of a feedback for the restaurant to improve on, than petty recollection of missteps. Toronto food scene is growing fast now, it won't be long before this restaurant will be forgotten if it does not improve, as it feels past its prime right now, and i really used to like this place a lot. 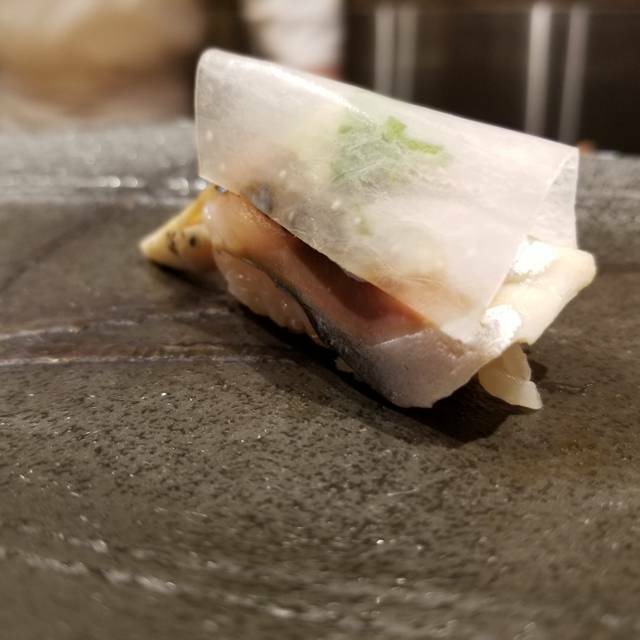 This was my first omakase experience. The service was incredible. The waitresses worked in parallel with the chef so that you always had what you needed and barely noticed that they were there. The chef was very friendly and informative and made the experience very enjoyable. 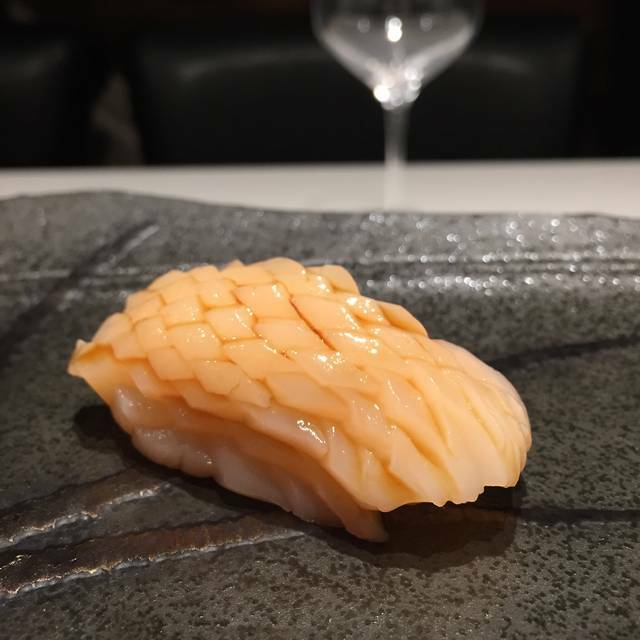 I have had very good sushi in Japan and am from Spain and lived in Spain for many years, another place with a lot of very high quality fish. In Canada I think it is difficult to get good quality fish but at Yasu they very much tried to have good quality fish. The miso broth they made with the fish for that night was incredible. All in all it was a very enjoyable experience. I would recommend it for a birthday or special occasion. The sushi was excellent, especially considering the price. The only feedback is that I felt the taste of the rice was rather inconsistent throughout the night. Overall was a great experience and would definitely come again!